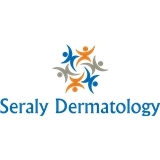 Mark Seraly, MD, PC & Associates (McMurray) - Book Appointment Online! She answered all my questions without feeling rushed or hurried through the appointment. She was friendly and was on time for the appointment. Very good, only issue is to many emails and being asked same questions that I answered on the on-line forms.